Apparently, she and everyone else in that village, save for the young’uns, had been aboard a passenger ship that was attacked by Bloodhook twelve years ago. Bloodhook took the passengers prisoner, then marooned them all on this island a few days later. All except Rosa’s mother, apparently, he took her with him. Probably just wanted to watch her cry for her husband and child, the scoundrel. It would seem that Bloodhook had expected the people he’d marooned to die on that island, but instead they survived and built the village. So he attacked them again. It's that time of year again- where everyone crowds into the Neopian Bazaar for the Usuki collectors favourite day of the year: Usukicon! Everyone is waiting to gain access into Usukiland to catch a glimpse of the newest Usuki dolls on the shelf. It is a Usuki collector's dream, except many of the Usuki's are so rare and expensive that only the top collectors own them. Not everyone is lucky enough to own a Queen Fyora Usuki Doll, so here is a list of some high quality and affordable Usukis. Every year, thousands of interested Neopets tour all of Neopia looking for the perfect land to settle down in and build their neohome. The idyllic scene of a simpler time that the lands of Brightvale and Meridell provide always draws in a crowd. Yet once these hopeful Neopets arrive, they can’t seem to decide whether they will call Brightvale or Meridell home. For this very reason, I’ve decided to teach Clopina and everyone reading at home about Brightvale and Meridell. Hopefully by the end, anyone considering moving to either land can gain knowledge before making any decisions. My Pteri has been very vocal about his opinions as of late. Don’t get me wrong, he was always a very talkative bird but lately he seems to be taking it to a new extreme. Perhaps he is still bitter over what Boochi did to him but that was months ago. It’s about time he let my ears rest. 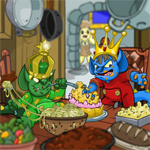 I’m sure many Neopet owners would agree with me that some of the things our pets say can be grating after a while. Here are a few things that Neopets say that makes Angel and me want to pull our hair out. 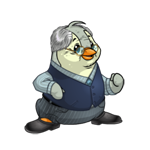 With his bickering petpet in tow, The Neo-citizen quickened his pace as he strode passed the Secret Laboratory to access the Petpet Laboratory. The narrow, almost claustrophobic hallway that led to the Petpet Laboratory was always dimly lit, with tangles of wires poking from the ceiling. He was a Neo-citizen on a mission as he ignored random bypassers reacting over their latest zap - he heard someone gush over their new Pink Kadoatie whereas another one was grumbling about their petpet newly named OMGROFL. "…I'm not kidding, it's ALIVE!!! It's... it's.....," Lizzy the Aisha was interrupted. "... a vacuum cleaner." her older sister named Sparkle, popped her head out of the hallway, into the room. "Oh no! It's going to eat us!" the older Aisha sarcastically said. "Ugh, get out of my room, this is for friends only!" "Ok, ok, you can explain the rest of your STORY to your friend." "WHAT!! I'M NOT JOKING ABOUT THIS!! I..." "Look I don't care if you think this vacuum cleaner is alive, I promise you mom is not going to get rid of it." the Aisha walked out of the room. "Ok, so where did it begin?" Zarc, the Acara questioned. Kursak was born in a small farming village near the kingdom of Meridell. His family taught him everything he needed to know about having an honourable, hard-working life. Son, it is important that you work hard all your life, no matter what your goals might be. If you do so, you will be much closer to fulfilling them'', his father would say. The road may be long, but never lose hope, and always remember that you have a place to return'', Kursak frequently heard his mother say. his article will serve to highlight a few of Brightvale’s best berries, for the berry enthusiast, or for those who are interested in all things Brightvale. Escape to Kreludor is the name of one of the many games available in the Games Room. You may not remember immediately if you ever played it or what kind of game it was – it's not as popular as Meerca Chase or Faerie Bubbles. I am here today to introduce you to this simple yet entertaining puzzle game. I tossed and turned in the covers of the bed I was in. Thoughts were bouncing around my mind like a bouncy ball. For all I knew, the one who targeted Mae could still be in the Neohome. No matter how hard I tried to get that terrible thought out of my head, it stayed.